Mr. Lemon and friend (thanks Eric!) have finished building the two privacy panels for our backyard (originally discussed here) and should be installing them this weekend (I’m quite giddy about this!). After they were built, we realized we had not contacted Miss Dig to tell us if any gas lines were running under the ground where we intended to place them (um, yeah…super important step!). I had a few days of wondering if we would have to sell the new, beautiful panels on CraigsList, but to my complete happiness, we were in the clear! Full post on the panel building and installation next week, but for now you can join me in drooling over other people’s gorgeous backyards on my Pinterest board. Yes, yes, I like a lot of laterns/lights! 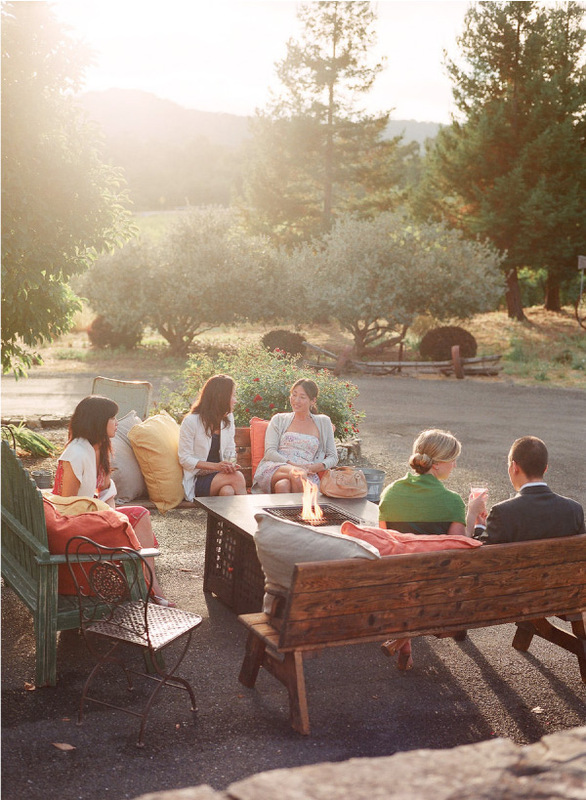 My vision for the backyard is a cozy space to gather with friends. We’d like a dedicated area for our outdoor dining set, which we scored at an end-of-summer sale last year, as well as a set space for our fire pit. 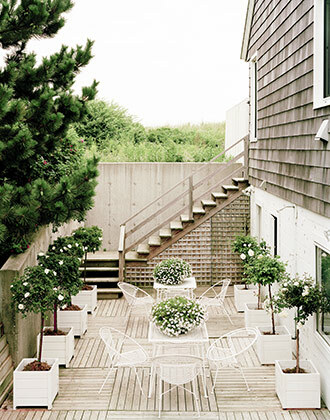 However, we’re undecided on deck vs. patio and how exactly to lay out the space to make it the most usable. With a city lot, we don’t have a lot of room and want to make the best of what we have. And I even get a bit hung up on style – check out how different these two photos are, both of which I love! Here’s a casual, almost rustic grouping around a firepit. So cozy! And here’s a minimalist dining space. So clean! Decisions, decisions! This is the part of decorating that I love; looking at all of my inspiration photos, figuring out what I really love about them and then translating the best parts into a space for our home. See my full Pinterest board here! 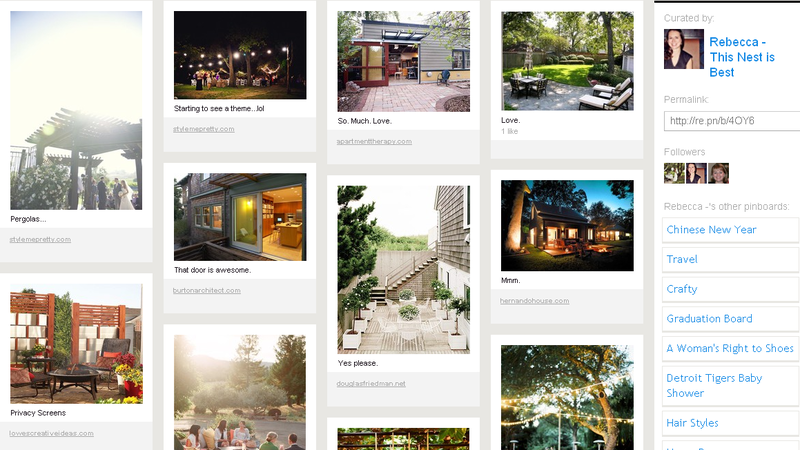 This entry was posted in It's My life, Pinspiration and tagged outdoor entertaining. Bookmark the permalink.